Imagine sitting at home in a timber dining setting you designed yourself. Or watching television on the entertainment unit you had in mind for that particular space. 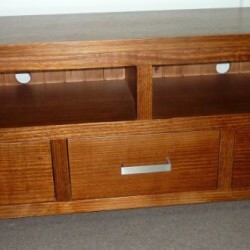 Or having a cuppa with a friend on the one-off timber coffee table that sits in your home. We love bringing this joy into people’s homes with custom-made furniture from our Warrnambool and Hamilton furniture stores. 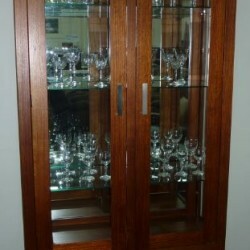 Warrnambool Knock on Wood and sister store Homeflair Hamilton make the custom-made timber furniture people go to when looking for that special item. We offer a range of timbers and stains that enable us to create a design specific to your requests. Simply come to us with your ideas and we can provide an individual quote, free of charge. 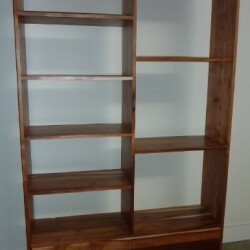 Our fully qualified furniture maker Troy Barclay has many years of experience creating custom timber furniture for happy customers in the Warrnambool and Hamilton regions. 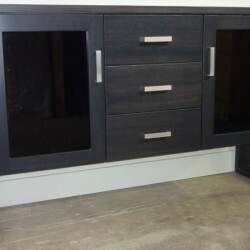 Visit our stores and chat to our team about creating your dream custom made furniture item. While you’re there you will see we also have one of the best ranges of dining room furniture in Warrnambool, living room furniture, bedroom furniture and outdoor furniture ready to take home in Hamilton and enjoy.